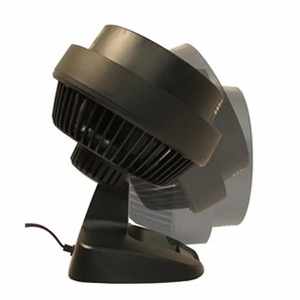 This fan quietly focuses fog, wind, bubbles, up to 40 feet (13m) away in a direct line without spreading. This channeled vortex action allows precise targeting to your subject, making the Director Fans perfect for theater, concerts, video, and photography. Fans can be easily converted to 230v with a transformer. The fan blade is 6.5 inches. Manufactured in the USA.